My mission as an educator at JMU is twofold: 1) to help each student explore, understand, and learn how to share their gifts with each other and with society in general, and 2) to share my enthusiasm for the topics and technologies that I love. At the same time, my students are continually teaching me. Here’s the story of how I came to know that mission. I was born in Charlotte, North Carolina in 1976 to a completely ordinary mother — who eschewed a career in elementary education to focus on just one student (me) — and a “mad scientist/entrepreneur” father, who had emigrated to the United States after fleeing East Prussia in January 1945 on foot with my aunt and grandmother, narrowly escaping on the day the Russians invaded their village of Wehlau. My childhood was extremely volatile. I’m not sure whether it was PTSD or just plain old mental illness (or both), but my dad was extremely illogical and not pleasant to be around, so my mom and I shuttled back and forth between Charlotte and Scranton, PA as she got much-needed support from her family. He punished her (for what, I don’t know) by not providing financial support… and during the financially strapped year of first grade, when I attended the same school my mom had a couple decades before, I developed an acute sense of what it meant to accomplish and achieve — and how that related to financial security. I know, pretty heavy topics for a six-year-old. In short, I developed survival anxiety — which translated into a primal urge to learn, to achieve — to build the skills I needed so that I could get a good job as soon as possible, so I wouldn’t have to rely on anyone else for support. So when I was out of school for two months in second grade with pneumonia, I demonstrated my intellectual prowess by completing all of the homework and tests I’d missed in two days after my return… perfectly. The teachers asked my mother if I’d like to skip third grade. I was enthusiastic; this meant I was one step closer to getting out of school and being able to help support her. By seventh grade, the situation at home had become oppressive. It was either feast or famine: my dad had closed up his textile machinery factory, started an import/export business focusing on German sausages, and had an investment share in a video poker palace (where success made him even bolder). My parents were having violent arguments on a routine basis, and I’d developed severe gastrointestinal problems and had an extended autoimmune attack on my thyroid (that’s left me dependent on medication for life). I’ve conflated many memories, but they include flying tomatoes, dad putting a knife to my mom’s throat in the kitchen, and cops at our house with my dad telling them that my mom was trying to kill him. I started going to the library and researching what it would take to become an Emancipated Minor. In the midst of this storm, most of my free time was spent in front of my Apple IIe, programming in Applesoft BASIC, peeking and poking at new memory locations, and battling giant cobras and the dreaded land octopus as I tried to retrieve the Idol in the game of Aztec. Programming and game-playing was a fantastic (and useful) reprieve. By the time I was 13, I had enough credits to graduate from high school, but no idea what to do next. Right around that time, I remember reading a book that briefly mentioned the North Carolina School of Science and Math in Durham. It seemed like the ideal oasis for misfit kids like me: a residential school with an unorthodox curriculum more like college than high school… and if you were fortunate enough to be admitted (which was highly competitive) room and board was entirely free — paid for by taxpayers, as an investment in North Carolina’s future. Independence Day, for me, happened on April 21, 1990, a few days before I turned 14. I remember standing out in the middle of the street, opening the letter that said I’d been accepted… and knowing that in just a few months, I’d be living independently! It was the best thing that ever could have happened. My mother was crushed, because I’d be leaving her behind. However, survival trumped emotion for me: I had to go. There’s a reasonably happy ending, though, and that is the following: as an adult, I’ve developed a very good relationship with my father — as good a relationship as anyone can possibly have with him. At 79, he’s illogical, definitely schizophrenic, and now has Alzheimer’s which makes communicating with him even more of an adventure. But I have grown to natively understand his ill logic in a way that’s empowering to me, because over the years it has taught me that 1) nothing is impossible, 2) sometimes the craziest ideas turn out to be the best ones, so don’t be afraid of them, and 3) even if you can’t understand it, the world inside someone else’s head is entirely real to them. And you shouldn’t discount it. I also learned some pretty important lessons from my mother, but sometimes you learn them by the inverse images of your surroundings, in this case: don’t be afraid to move on from a situation that’s (really) not working — it’s not failure, it’s firmer self-knowledge. Her fear has imprisoned her for life. Mine will not. As a result of my experiences, I’ve learned to become resourceful, open, and non-judgmental. I’ve struggled with depression and social anxiety, but used my experience to help other people — for example, by becoming a case study in psychiatrist Jon Rottenberg’s new book, The Depths. (Some people donate their brains or bodies to science; I’ve donated my personal hangups.) I’ve developed an openness to other ways of thinking and being that enable me to listen to other people’s stories in a way that makes them feel safe and appreciated. At JMU, I’ve been a magnet for students who feel misunderstood and at the end of their ropes, and always, through our interactions, they have emerged feeling resolved and more empowered. I am happy to serve in this way, and honored that my students trust me enough to make themselves vulnerable by sharing their feelings and concerns, especially for situations that have nothing to do with their education. So what about my own survival anxiety? I still work with it, but in an entirely different way: I look at educational experiences as a space for intellectual meditation where I can make progress now, rather than a sentence I must serve to “become credentialed” so I can start making progress later. Rather than exclusively trying to sell my students on why particular topics are relevant to their careers, I encourage them to just spend time with each of the concepts we cover in a totally nonjudgmental way… kind of like meeting a new person on a bus, and having a short but interesting conversation. You might never see that person again, and what you learn from them might not obviously help you, but you never know what positive impact you could have had on them. In the grand scheme of things, your participation might not end up being all about what’s in it for you, but what you contribute and share with the people around you. My work focuses on quality, innovation, and transformational experience — how to establish, improve, and transform structures of all kinds so they can satisfy the needs of individuals and the groups within which they are entangled. This broad spectrum of structures includes individuals, communities, technologies, and institutions, all in symbiotic relationship with one another. All of my teaching, research, and service activities address one or more aspects of this puzzle, and as a result, my work in each area informs my efforts in the others. My multidisciplinary research agenda, which is described in more detail here, employs data science to explore new ways to think about quality systems and innovation, with a focus on emergent environments for living and learning, leveraging alternative economies and gift cultures such as Burning Man. In the spirit of ISAT, my academic and career trajectory has been characteristically interdisciplinary. After receiving my undergraduate degree in meteorology from Penn State, one of the nation’s top three meteorology schools, I spent three years as a programmer, project manager, and systems administrator for a small international consultancy based in Taiwan. We built one of the first e-commerce ventures ever(!) in 1994 and 1995. Coupled with a year in the graduate program in atmospheric science at the South Dakota School of Mines and Technology, this prepared me for a highly technical role at the National Oceanic and Atmospheric Administration’s (NOAA) Forecast Systems Laboratory (now ESRL) in Boulder, Colorado, where I helped to grow and develop the national operational system in ground-based Global Positioning System (GPS) meteorology from its infancy. In addition to programming and learning how to manage software development projects, I also learned how to install, monitor, and maintain our instruments. I even had my own toolbox, and got to be pretty masterful at splicing wire and troubleshooting data transmission issues in the field! 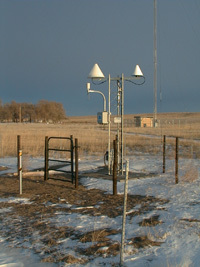 This water vapor observation network (http://gpsmet.noaa.gov/) now provides real-time data to all of the numerical weather prediction models that meteorologists in our country use to provide more accurate weather forecasts. It was at NOAA-FSL that I first developed an interest in quality systems, learning from the physical scientists and senior software engineers who mentored me. Our dedication to establishing and following systematic processes for developing, delivering, and monitoring our operational observation network earned us the attention of Al Gore, who awarded our team one of his Vice Presidential Hammer Awards in 1999 [see full report], for making contributions to a government that works better and costs less. As a junior person on that team, I’m indebted to my leaders (especially Seth Gutman and Kirk Holub) for those early lessons on quality management that have inspired me for many years. For three years after that, I managed software development projects and helped “rescue” ailing software implementations in the telecommunications sector on three continents. During this time, I fell in love with the tools and techniques of quality and process improvement, especially lean production and Six Sigma problem solving approaches. As a software development manager at telecommunications start-up Rhythms Netconnections, I noticed that all of the people in the Quality Division were really having fun improving things. I wanted to have as much fun as they were having. That’s when, following their lead, I joined the American Society for Quality (ASQ) and connected the dots between the software quality work I’d been doing, and a direction for what I’d like to learn and contribute in the future. At the same time, I started attending Regis University’s MBA program in downtown Denver to help strengthen my management skills. After a few years in Green Bank, I moved to Charlottesville to join the management team at observatory headquarters. I spent four years working on strategy development, aligning objectives and work plans with strategy, and understanding how decisions made by the NSF and Congress influence plans and proposals. I learned quite a bit about the intricacies of managing a Federally Funded Research and Development Center (FFRDC). I learned how the culture for quality management and innovation is established at the executive level, and explored techniques and approaches for performance management. Even though I left the observatory to join JMU in 2009, I still regularly consult for the NSF and FFRDC management organizations on quality and innovation in research facilities (in both cyberinfrastructure/high performance computing and astronomy/astrophysics). During this time, I completed my PhD in Technology Management (with a specialization in Quality Systems) at Indiana State University. As a result of this experience, I bring a very practical and strategic orientation to my technology development courses. In 2011, I was selected by the ASQ as one of their 40 New Voices of Quality – a distinction that the Society only grants once a decade. As of January 2012, I have been an officially sanctioned “Influential Voices“ blogger for the ASQ for my Quality and Innovation blog which has been active since 2008. I have published over 250 articles on this blog, and now receive over 4000 hits a month, with a regular readership of 110 subscribers. I continue to advance my scholarship and service, while seeking opportunities to integrate the results of my interactions with the research community (and industry) into my teaching. My main goal right now, and for the upcoming years, however — is to help students learn with joy… as I continue to connect the dots. For nearly a decade before I came to JMU, I was responsible for hiring scientists, business analysts, software engineers, electronic engineers, and technicians to work on complex implementation problems in telecommunications and scientific instrumentation. At NRAO in particular, I needed to hire employees who had some depth in science or engineering, who could write software, and who weren’t afraid of diving in to learn more advanced concepts in electrical or mechanical engineering, astrophysics, or whatever else we needed to build new capabilities into our telescopes. I found that open-minded people like this, who could adapt to shifting requirements and changing circumstances, and retool themselves as necessary, were in short supply. When I found out about ISAT, I realized that I could have the opportunity to develop the pipeline — so that future employers would be delighted by our graduates. I know what those future employers dream of, so I’m positioned very well to help make it happen. When I was interviewed, I was also impressed by the warmth of the faculty here and the collaborative vibe throughout the department. After spending the past few years in ISAT, I can’t say that my opinion has substantially changed. We may not always like each other, or each others’ ideas, but there’s a deep vein of trust and respect between us, and I wouldn’t hesitate to ask anyone in the department to pick my kid up from school if I was in a bind. That’s a remarkable statement. I also feel appreciated and cared for, and that’s pretty fantastic too. I am deeply grateful to all of my colleagues for creating this kind of environment. Who Has Influenced My Thinking? I’ve heard that we’re amalgams of all the people we’ve come in contact with — whether in person through “real life” relationships, or via books and videos and other media. Some people leave more indelible marks than others. To give you an even more nuanced sense of who I am, here are some of the intellectual and cultural leaders, artists, and fictional characters who I identify with and admire… and why. Charles Eisenstein — Calling himself a “sacred activist,” what sums up Eisenstein’s work to me is the first sentence describing his book, The More Beautiful World Our Hearts Know is Possible, on Amazon: “In a time of social and ecological crisis, what can we as individuals do to make the world a better place?” Morgan and I spent a couple days with him in August 2013. He’s like an inspirational Zen master, embracing the vision of integrated sustainability in a post-consumer economy. Rabbi Irwin Kula — In September of 2013, I was fortunate to be in attendance on the day that Kula spoke to the Business Innovation Factory. Originally, he wasn’t even planning on being there… it was Sukkot, a Jewish holiday, and he shouldn’t have been “doing work” during this 7-day meditation. But he talked about sacred spaces, and how the purpose of Sukkot is to create those sacred spaces… asking the question “where does genuine security come from?” He encouraged us to ask those same questions of ourselves. He explored how there’s such a huge opportunity in innovating religion and religious feelings to transition those sacred spaces that religious experiences have provided for so many people over so many millenia… to our ordinary, daily lives. He noted that “we are in a moment of what it means to be reimagining what it means to be human” and that this reconnection with our humanity and our sense of purpose can be precisely what helps us envision the world of tomorrow. He showed me that we need to create those sacred, emotional spaces that our students will use to figure out who they are and what they can contribute to the world. He showed me that transformation is an emotional experience, and that I can help create sacred spaces too. Russell Brand — In October 2013, Brand (a comedian from the UK) edited a political issue of the New Statesman which immediately unleashed a firestorm from critics who said he had no business getting into politics. This included an interview with Jeremy Paxman in which Brand said “I don’t get my authority from this pre-existing paradigm which is quite narrow and only serves a few people. I look elsewhere for alternatives that might be of service to humanity.” He challenges the frameworks of all the consensus-based systems that we have come to accept as government, and laments the lack of representation of the common people in nation-scale decision making. I admire Brand’s strident and articulate critique of the current political system, and the apathy that is endemic. His unorthodox approach inspires me to be out of the box, and strive to address the legitimate concerns of society in my problem solving. Noam Chomsky — In addition to being an amazing linguist and one of the founders of the field of artificial intelligence (which is especially meaningful to me because I teach ISAT/CS 344, Intelligent Systems), Chomsky has been a profoundly influential social activist who supports cultivating individual agency, responsibility, and creative character. He is an outspoken critic of Taylorism (the “assembly line” model) applied to education, and believes that the modern educational system is most effective as a form of social control. His arguments can help us reinvent our approach to education. Alan Watts — As a philosopher, Watts aimed to bring a deeper understanding of Buddhism and eastern philosophies to the Western audience. However, he also had some remarkable insights on education that I admire and resonate with, probably because it speaks to my history of survival anxiety: “The whole point of dancing is the dance. But we don’t see that as something brought by our education into our everyday conduct. We’ve got a system of schooling which gives us a completely different impression.” He advocates staying in the present moment as you’re in the early stages of your education – that there is not a moment where you will have “arrived at your destination” and feel completely satisfied. David Whyte — I first read The Heart Aroused: Poetry and the Preservation of the Soul in Corporate America when I was on an extended consulting assignment for an oppressive company in Rochester, New York… in the middle of a long, cold, blustery winter. He helped me cast office politics and treacherous assignments as part of The Hero’s Journey, which makes struggles all the more worthwhile. I’m inspired by him because he bridges the worlds of art and industry so effortlessly, helping us find meaning in the ordinary and mundane. Paulo Coelho — Although he’s most well known for being a prolific and inspirational author of fictional allegories, I admire him for two different reasons. First, even though his parents had him committed to a mental institution when he was 16, he never gave up on his nonconformist tendencies. He kept searching for meaning, and ultimately, found quite a bit of it. Second, even though he is a devout Catholic (and this is evident in his writing), he does not present his flavor of spirituality as a fait accompli. His approach to the spiritual aspects of life is truly universal and welcoming to all people who are searching for meaning in their own lives. Rose Wilder Lane — Imagine this: it’s the 1910’s, you’re female, you’re working as a real estate agent and journalist in San Francisco, and you’re in a completely dysfunctional relationship that’s about to end in divorce. Instead of caving under the pressure and critical eye of society, over the upcoming decades you befriend President Herbert Hoover, acknowledge your struggles with (what’s now called) bipolar disorder, create top-selling short stories, become an active and engaged war correspondent, help to launch the Libertarian movement (while coining that as a term), and advise the first Libertarian candidate for President in 1976. She’s my model for the smart, tough, and awesome woman… and she blazed the trail 100 years ago. Kevin Barnes — A “multi-instrumentalist” who integrates theater and illustration into his musical compositions, Kevin epitomizes radical innovation and the concept of “driving out fear” to me: at times he goes on stage as his cross-dressing alter ego, Georgie Fruit. You have to be fearless to proudly do something like that. Special Agent Aloysius Pendergast — The main character in many of Douglas Preston and Lincoln Child’s mystery novels, Pendergast is a socially awkward, always-polite, polyglot anthropologist from New Orleans who works for the FBI (when he feels like it, apparently). He always wears suits, is well-versed in almost any subject that comes up, carries around well-hidden tools that get him out of (most) life-threatening situations, and lives with a 150-year-old woman who was the subject of “Fountain of Youth” medical experiments in the 1880’s, performed by one of his mad scientist ancestors. In addition to living a completely adventurous and non sequitur life, he thinks of everything, sometimes years in advance… a skill I’d like to develop. Claire Fraser — The main character in Diana Gabaldon’s “Outlander” series, Claire is an accidentally time-traveling doctor who (although born in 1918) spends some of her life in the 1700’s. The part I like best about Claire is how she navigates a historic world with medical knowledge that, to everyone at that time, appears “magical”. As a result of being misunderstood, she is almost burnt at the stake at least once. She does an exemplary job of educating frontiersmen in “modern” medical techniques, while secretly growing penicillin in her kitchen. (Plus, she is involved in a romance that spans a few centuries, which is rather exciting.) It’s a great speculative study in social context. Introducing the R Statistical Software. R is a free, open source programming language that has amazing capabilities for mathematical and statistical modeling and scientific programming. Over the past few years, I have transitioned all of GISAT 251 (Topics in Applied Statistics) and all of ISAT/CS 344 (Intelligent Systems) to R. I have transitioned about half of ISAT 341 (Simulation & Modeling) to R. In addition to saving the department money (that we’re not spending on Minitab or Neuroshell for my courses), introducing students to powerful open source software will help entrain them into this model for sharing contributions, while providing them with a free option to introduce to their employers. Revitalizing ISAT 341 (Simulation & Modeling) and ISAT 344 (Intelligent Systems) Using a Microcurriculum-Based Model. Since my arrival in ISAT, these courses have been completely modernized. ISAT 341 now includes options to learn Monte Carlo simulation, Numerical Weather Prediction, and Agent-Based Modeling. ISAT 344 now includes options to learn neural networks for classification (as well as regression), support vector machines (SVM), Naive Bayes classifiers, and text analysis. The microcurriculum basis enables students to pursue topics of interests and form powerful teams for end-of-semester projects. Building Time Traveling Cohorts Where Students Design Exercises for Future Students. In each of my courses, I provide the option for students to create new labs, tutorials, and exercises for future students. In addition to teaching them about quality standards, this enhances their sense of purpose as an ISAT student. Getting Students Involved in “Real” Academic Journal Writing. One of my goals at JMU has always been to seamlessly integrate writing academic journal articles with senior capstone projects. This year, two of my projects have resulted in submissions to academic journals: Michael Carr’s project to Journal of the Institute of Brewing, and the project completed by Liz Wronko (2014), Bastiana Rodebaugh (2014), and Calla Feucht (2013) to the Journal of Quality Technology. I plan to continue this trend in the future. Engaging in Our Successful Year-Long ABET Self-Study. As part of the ABET Committee, I worked for a year to gather information, collate data, and craft a compelling case for the reaccreditation of ISAT by ABET. In the fall of 2012, I led the effort to compile and construct a whitepaper for the ABET accreditation story that was reviewed by the STEM Advisory Committee in October 2012. Guided by Mary Handley, I contributed much of the organization and content in Section 2 (Program Educational Objectives) and Section 3 (Student Learning Outcomes). I also devised the approach for communicating our continuous improvement mechanisms in Section 4 in terms of Baldrige ADLI (Approach-Deployment-Learning-Integration). Developing New Courses: HON 300/ISAT 680 (Quality and Process Improvement in Action) and GSCI 104 (Severe Weather on Earth and in Space). These aren’t specifically contributions to ISAT, but they have contributed to the ability of JMU to carry out its mission. In 2011, I proposed an Honors Seminar with Rebecca Simmons from the College of Business. In Spring 2012 and 2013, we led a cohort of students from all different majors as they completed quality and process improvement projects using the service learning approach. Thanks to Walt Ghant of the Center for Service Learning at JMU, we created a course structure that modeled best practices for engaging with the community. The course was so well received that the College of Business asked Rebecca to deliver a version of our course to MBA students (MBA 654 – Business Process Improvement) in the Spring of 2014. My teaching, research, and service activities have been strongly integrated over the past several years; each class of activities informs the others to create new opportunities for myself, my colleagues, and my students. One of my major thrusts over the next few years will be continuing to develop the Burning Mind Project — essentially, a mechanism for exploring and promoting STEAM (Science, Technology, Engineering, Art & Math) and avante garde pedagogy. What is the Burning Mind Project? Everyone has gifts — and as an educator, I feel that one of my roles is to help people find and identify with those gifts — and apply them to create new value through social and civic innovation. The Burning Mind Project is our nexus for realizing this mission. I have been profoundly inspired by the innovation culture of Burning Man, an annual social experiment where 70,000 creative, visionary people come from all over the world to build an art and technology-infused city for a week, leaving no trace at all in the desert when they leave. The Burning Man culture provides the most rich and supportive learning environment I’ve ever experienced — full of opportunities to expand your horizons, helpful and engaging mentors, and pervasive encouragement to take smart risks. The 10 Principles of Burning Man describe the core values of this community of people who call themselves “Burners”. Recognizing that the 10 Principles very accurately reflect the kind of learning environment we are working to model, Morgan and I launched the Burning Mind Project in 2012, with the mission of helping people find and develop their gifts. As the Chief Sorceress for the Burning Mind Project (with a whimsical title chosen on purpose to model our core value of driving out fear), my job is to make magic in a few different ways: 1) to make connections within the community of Burners, primarily between educators and entrepreneurs, 2) to research how quality, innovation, and transformational experience combine to make Burning Man such a rich learning environment, and 3) to help people create and engage in transformational experiences and opportunities for lifelong learning. 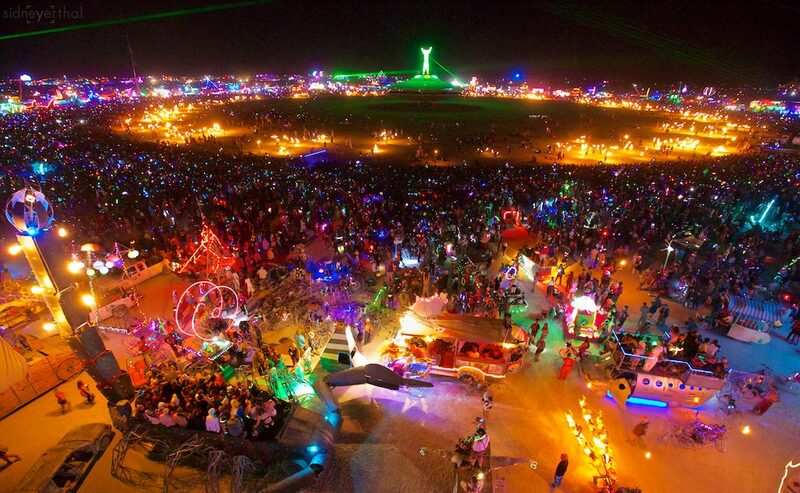 Perhaps as a consequence of being inspired by Burning Man, I now feel passionate about integrating art and design into a technological curriculum. It’s a great way to attract and engage students who otherwise might not be interested in software and computing technology, for example, women. We’re not alone in this interest. Over the past few years, a national dialogue has emerged that seeks to expand Science, Technology, Engineering and Math (STEM) education to include Art, making STEAM. Morgan and I have been a part of this discussion, and attended the first STEAM Caucus meeting at the U.S. House of Representatives in February 2013. 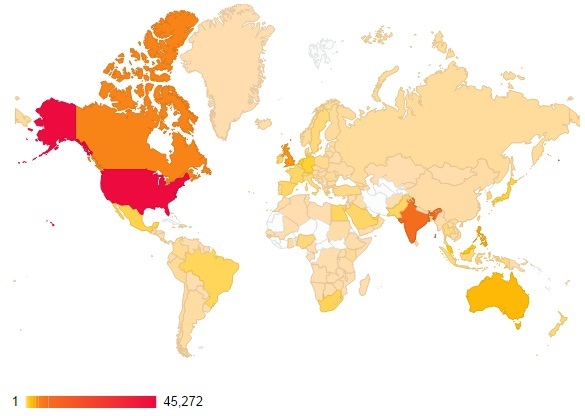 The Burning Mind Project is slowly and steadily gaining recognition. We are invited speakers at an international engineering conference (IAJC/ISAM) that will be held the last weekend in September. We were just invited to speak at TEDxBarcelona in January 2015, which will feature innovative educators (we’re trying to figure out if we can work out the logistics). We’re leading the Black Rock Educators Consortium at Burning Man, an “annual professional development opportunity that runs parallel to and in conjunction with the larger art festival.” We are organizing an “Ac-a-Thon” where academics from all disciplines can come together to share their research and uncover opportunities for feedback and collaboration from fellow radical innovators. Although we won’t be writing software, I learned how to organize this kind of event by supporting “SPIE Hack Day” at the Software and Cyberinfrastucture for Astronomy conference I co-chaired in Montreal in June 2014. To support lifelong learning, I’m giving a talk at Center Camp at Burning Man on pseudoscience in the era of big data, and I’m also providing an introduction to radio astronomy at the Black Rock Observatory as well as volunteering for shifts as a telescope operator. This directly leverages my experiences during the decade I worked for the National Radio Astronomy Observatory. In addition to informing my pedagogy and course organization, the Burning Mind Project is becoming a vehicle to connect students with people, projects, and other meaningful opportunities. This academic year, we’re beginning to fully infuse the results from our past experiences into our teaching and mentorship. Morgan and I are co-advising a senior honors project for three ISAT students that will focus on experience design through participative art. Our students will build a zonohedron dome, and apply their skills in media design, telecommunications, and algorithm development to create an interactive sound and light show that responds to the movements of anyone within the dome. Although they are only prototyping a desktop-sized dome for their project, they will use it to simulate what would occur in a larger (30-33′) dome with human participants, and construct a build plan so we can pursue crowdsourced funding after graduation. As another example, we have explored potential senior capstone collaborations with organizations like the Downtown Project Las Vegas (via Dave Gould, their Director of Imagination). In addition to pursuing the Burning Mind Project and meeting my regular course responsibilities within ISAT, there are several new things I’d like to do related to teaching. Next summer, I plan to conduct a Study Abroad Program to Iceland. I received a SAGE Grant from the Office of International Programs in 2012, and used it in 2013 to explore how to deliver Gen Ed science (Cluster Three) in an international setting. Now, it’s time to create that opportunity for students. This could also become an opportunity for other ISAT faculty to deliver summer programs. For example, Maria Papadakis has shown interest in participating, since Iceland is such a fantastic place to learn about geothermal energy and environmental sustainability. I’d also like to take a cohort of students to San Francisco during an academic year, with Morgan Benton, to introduce them to what innovation looks like when it’s fully integrated with art, social responsibility, and civic engagement. We have been in ongoing discussions with Eric Maslen and CISE leadership to see how (and if) this can become an experience that we offer to ISAT students. Once we work out the administrative issues, and determine whether this is feasible in the context of BS ISAT program logistics, we can submit the proposal we have been working on to the National Collegiate Inventors and Innovators Association (NCIIA). To apply my experience and background in quality and innovation management for the benefit of society, I will continue to actively engage in technical review committees for the National Science Foundation and national and international conferences. I also love being an active and valued member of the editorial team for the premier journal in my field (Quality Management Journal) and a founding Associate Editor for the new publication dedicated to advances in astronomical software and instrumentation (Journal of Astronomical Telescopes, Instruments and Systems). Finally, I’m going to keep building relationships. Ultimately, that’s where it’s all at. Now that you know much more about me, is there any way I can help you meet your objectives, or work in collaboration with you to help ISAT or CISE meet its objectives? Let me know. I’m happy to serve.